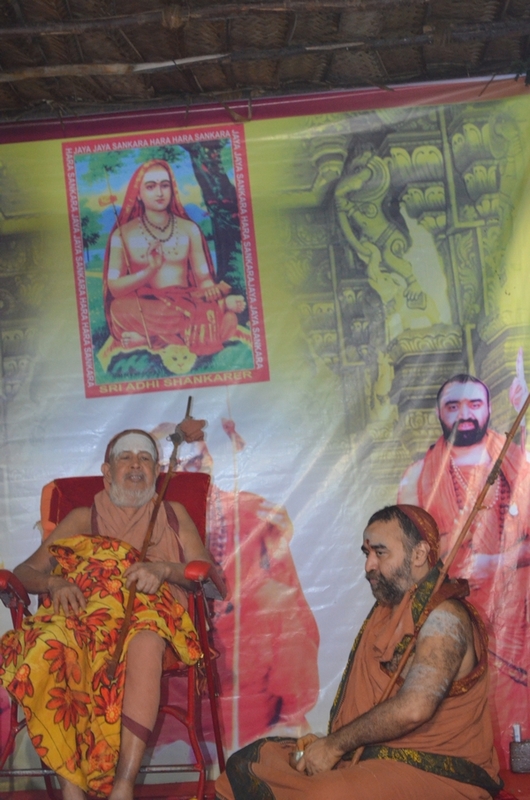 His Holiness Pujya Shri Jayendra Saraswathi Shankaracharya Swamigal and His Holiness Pujya Shri Shankara Vijayendra Saraswathi Shankaracharya Swamigal are camping in Shankara Vidyashramam at Odiyampattu village, Villianur, Puducherry . 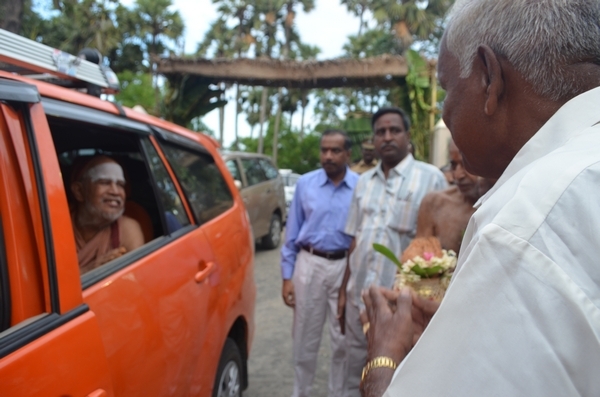 Their Holiness were received with traditional welcome by the devotees. 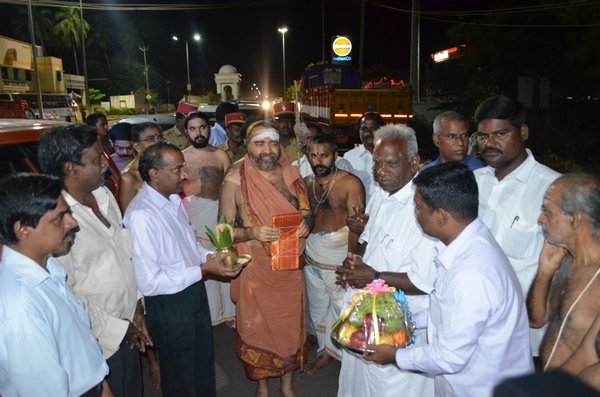 The Speaker of Pondicherry Shri Sabhapathy, Information commissioner & HR&CE Secretary Shri Thillaivel received the Acharyas. 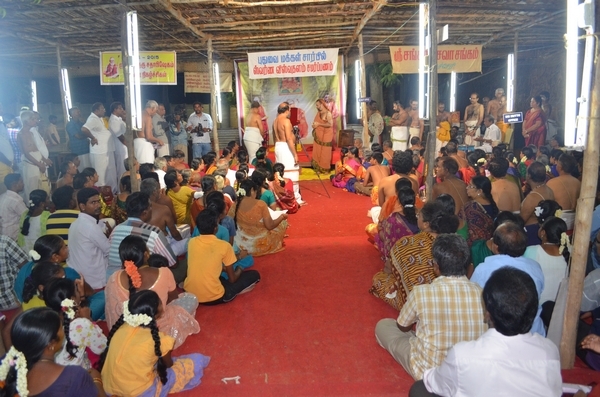 Yesterday the devotees of Puducherry organized a function to celebrate the 80th Jayanthi of HH Pujyashri Jayendra Saraswathi Shankaracharya Swamigal. 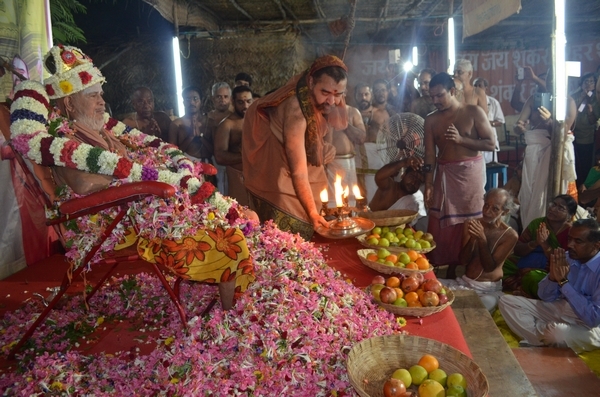 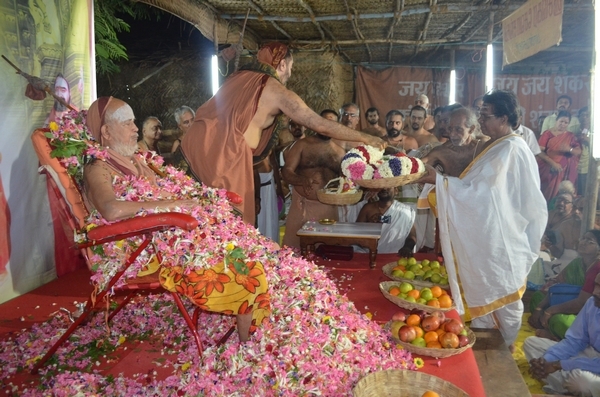 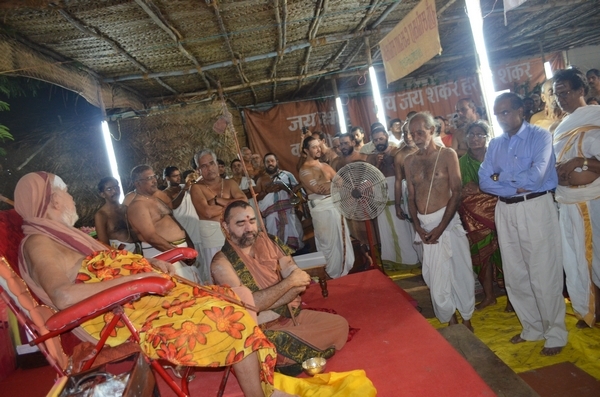 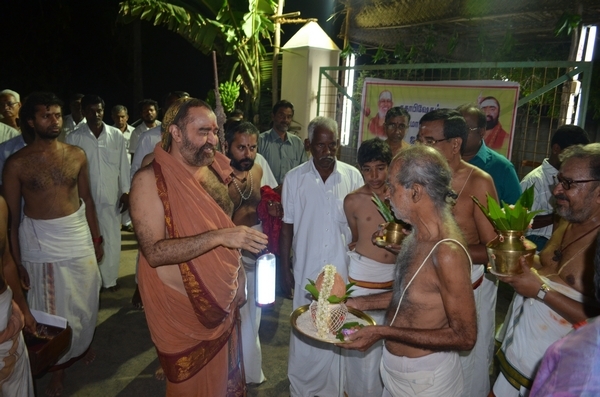 Swarna pada puja and Pushpabhishekam was performed by HH Pujyashri Shankara Vijayendra Saraswathi Shankaracharya Swamigal to Shri Periyava. 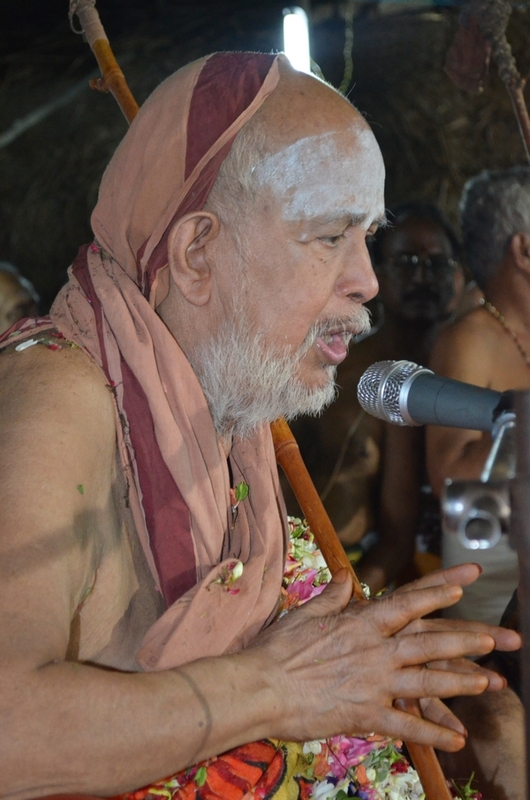 In His brief Anugraha Bhashanam, HH Shri Periyava told the devotees, “here we are talking about celebrations but it is time to think about the people of Nepal and India affected by this massive earthquake”. 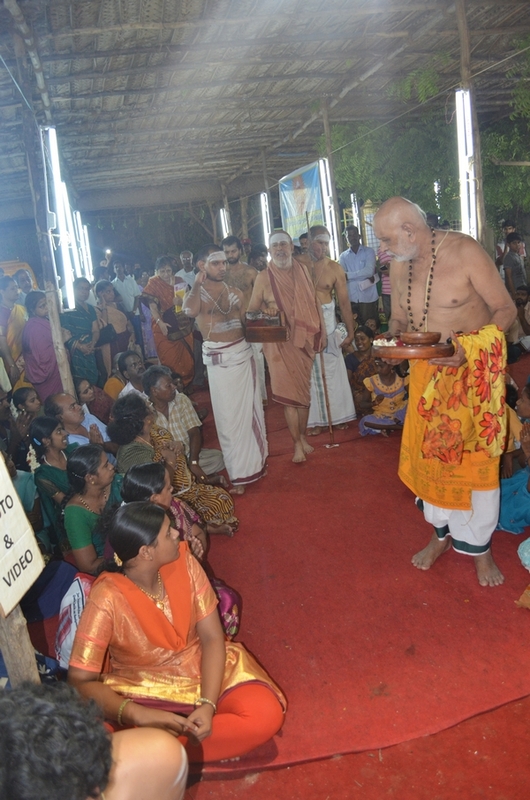 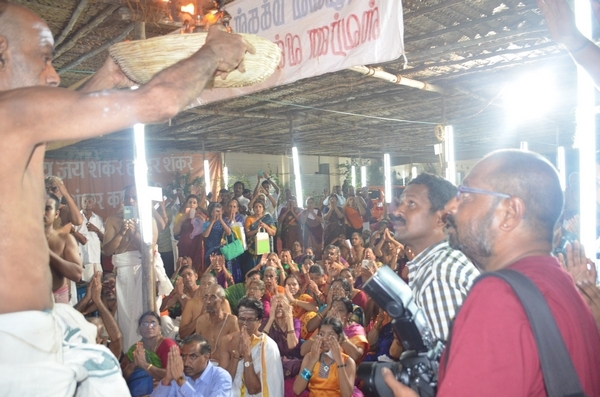 Shri Periyava urged the gathering to help the affected in rehabilitation and contribute to the cause. 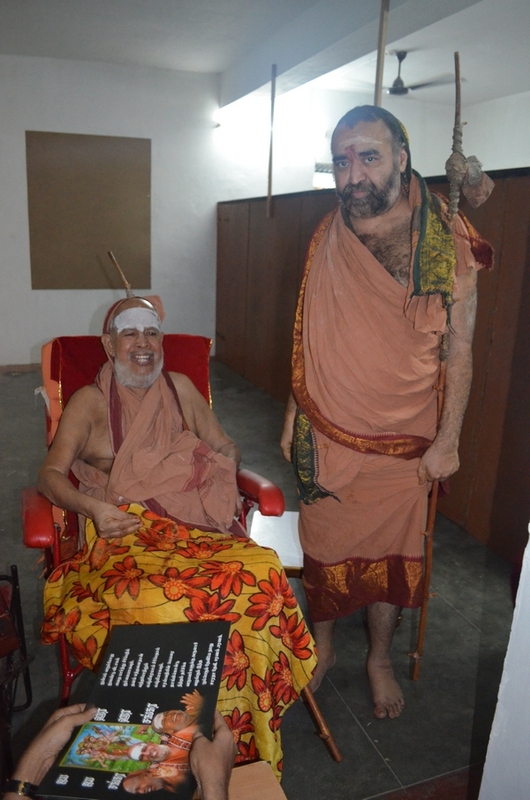 On behalf of Srimatam His Holiness presented a cheque of Rs. 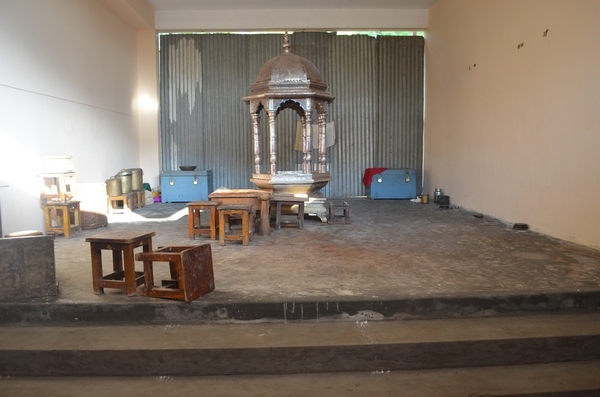 10,00,000 (ten lakhs) towards Prime Minister’s relief fund. 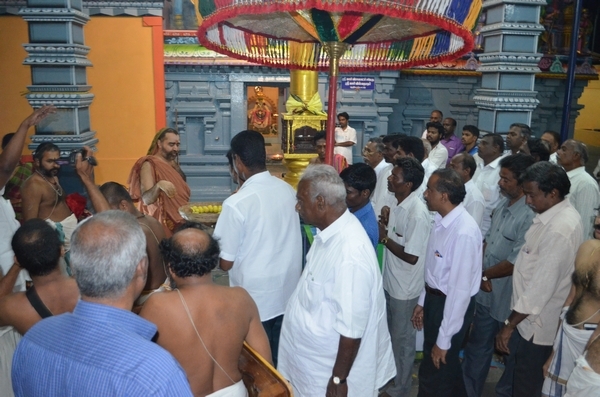 Several dignitaries including Department of Hindu Religious Institutions Director Thillaivel, Vice- Chancellor of Pondicherry University Chandra Krishnamurthy, Women’s Commission Chairman Sundari, Puducherry Public Prosecutor K.Shanmugam, MLA, M. Visveshwaran and V.Saminathan, Industrialist Dharmaraj and several others participated and received blessings from the seers. 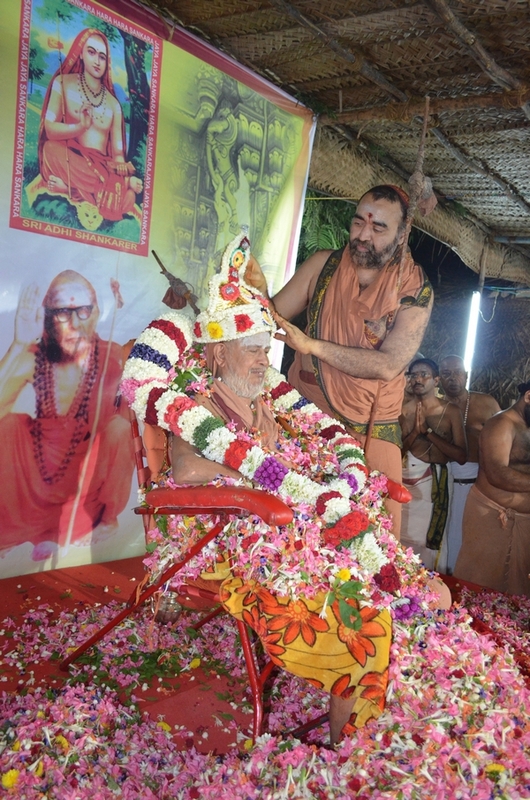 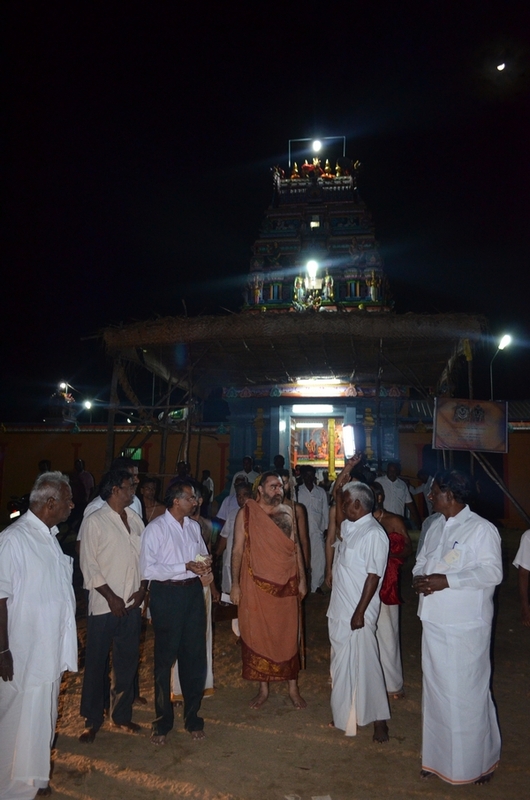 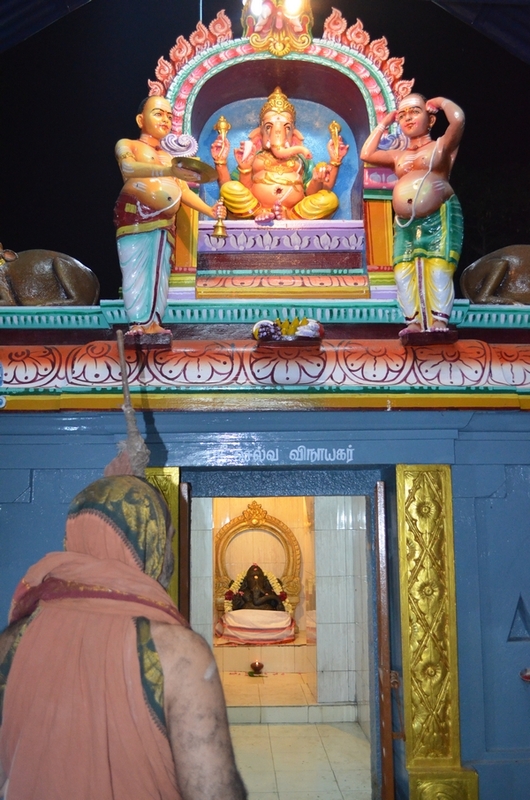 During the centenary celebrations of Shri Kanchi Kamakoti Peethadhipati Jagadguru Pujyashri Chandrasekharendra Saraswathi Shankaracharya Swamigal held at Villianur in February 1993, the people of Villianur requested Srimatam to bless their area with a school similar to Shankara Schools established in various parts of the country. 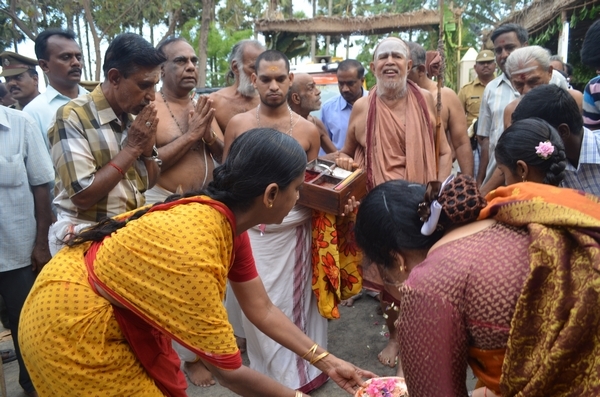 The authorities of Sri Kashi Vishwanathar Temple at Odiampattu agreed to make available some land in their possession spontaneously. 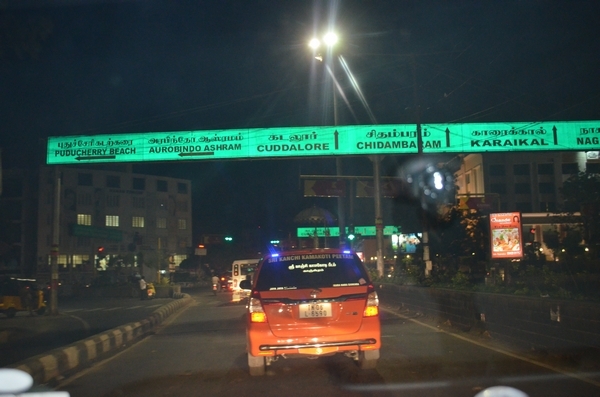 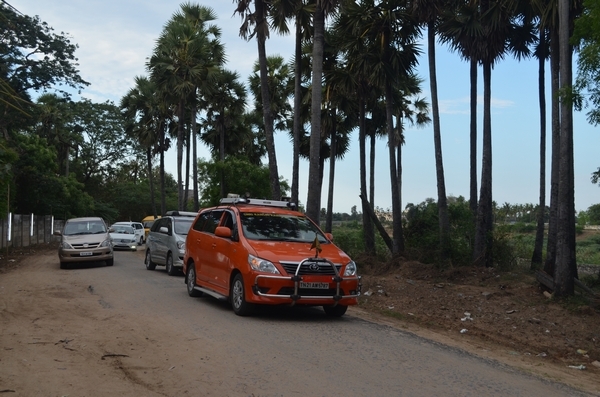 The Government of Pondicherry accorded permission to utilize the lands for this noble cause. 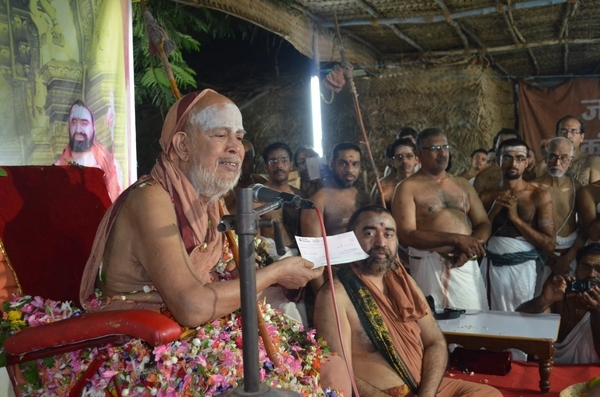 Jagadguru Sri Jayendra Saraswathi Swamigal was present at the celebrations blessed the establishment of Sankara Vidyashramam. 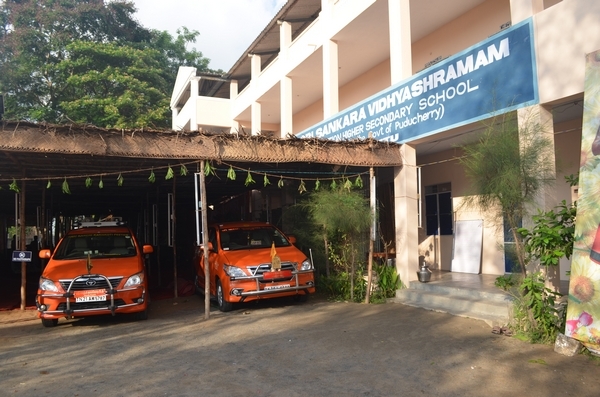 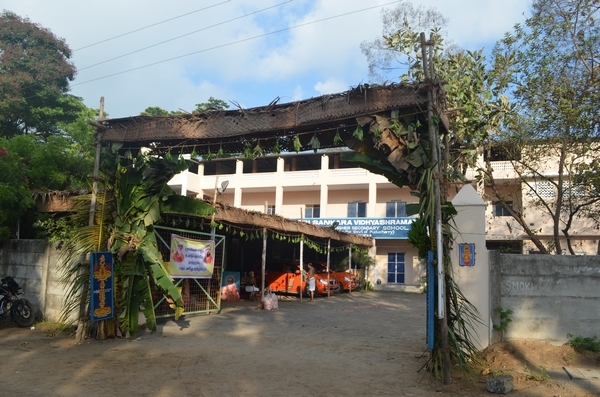 With the guidance and blessings of His Holiness Shri Shankara Vidyashramam Matriculation school started functioning in 1994-95, developed into a High school in 1996-97 and into Higher Secondary School in 1999-2000. 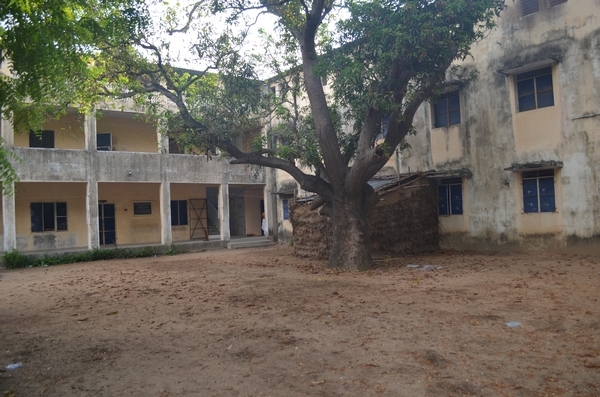 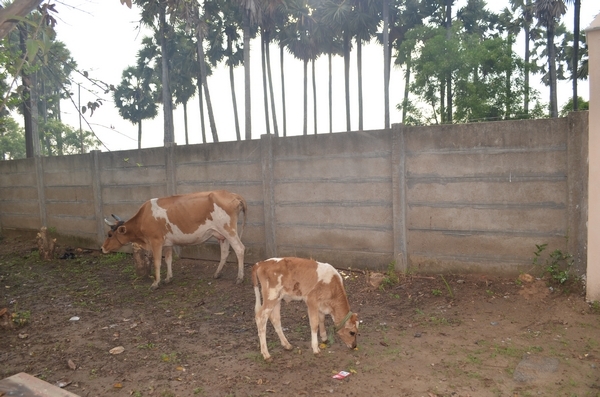 The school caters to the educational needs of around 40 rural villages in and around Odiyampattu. 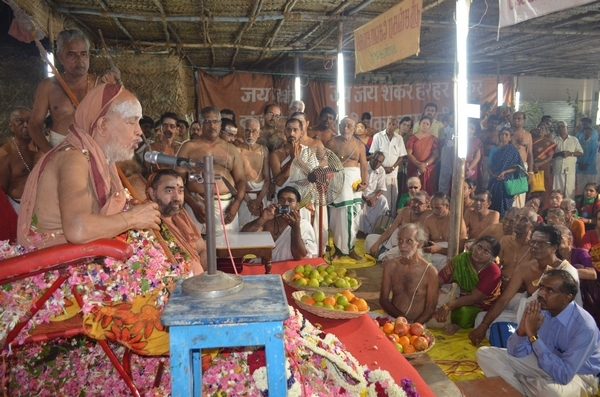 In his Anugraha Bhashanam, HH Shri Periyava urged the gathering to help the affected in rehabilitation and contribute to the cause. 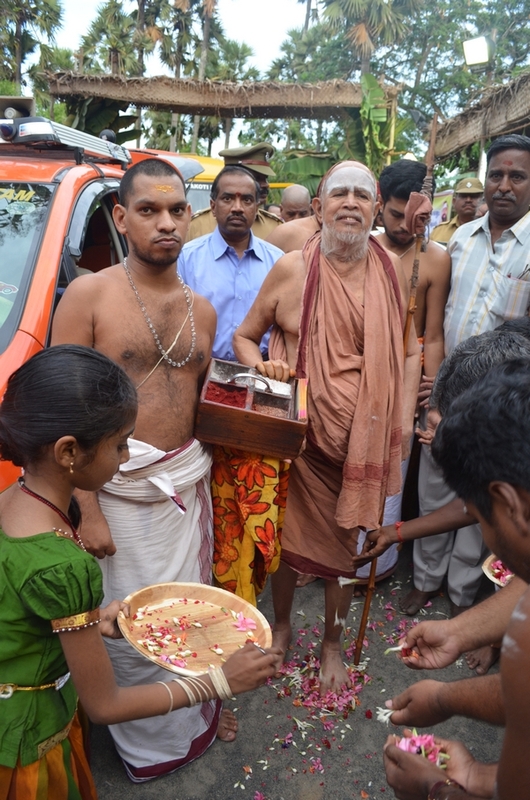 On behalf of Srimatam His Holiness presented a cheque of Rs. 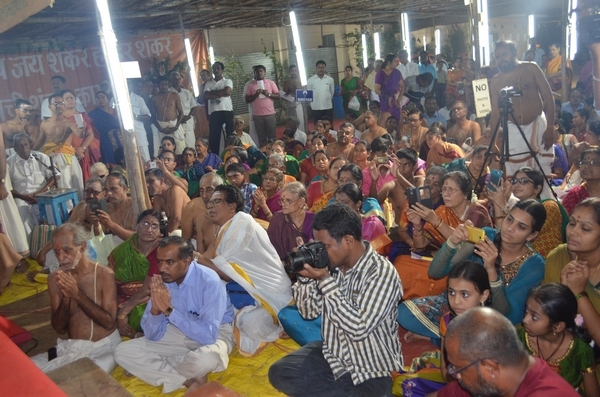 10,00,000 (ten lakhs) towards Prime Minister’s relief fund. 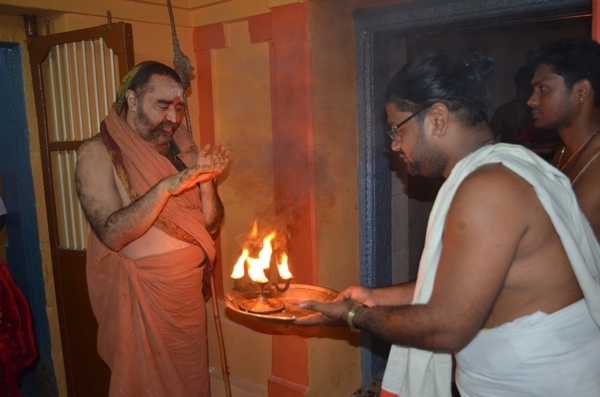 As a follow up to this, devotees interested in involving in quake relief measures may contribute as money in the form of Cheque/ DD in favor of "Dharma Prabodhana Trust" and sent to Srikaryam, Shri Kanchi Kamakoti Peetam, 1, Salai Street, Kanchipuram, TAMILNADU –631502.. 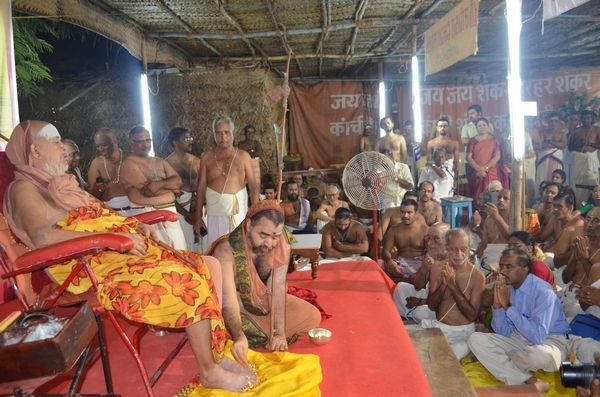 CONTRIBUTIONS MADE TO THE TRUST ARE EXEMPT UNDER SEC. 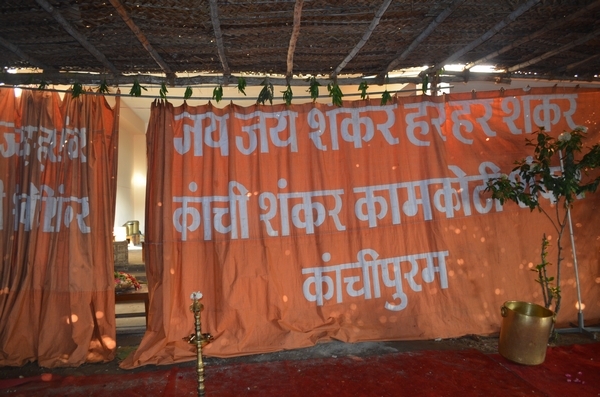 80(G) of Income Tax Act. 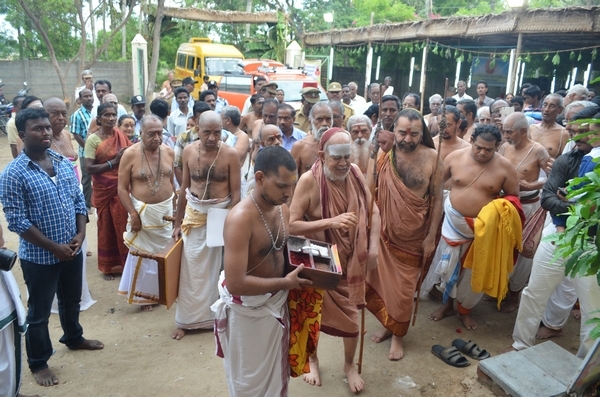 Contributing Materials: Donors can hand over the material to any of the branches/ centres of Shri Kanchi Kamakoti Peetam.